we are no longer able to monitor reliably our email box. For reservations or questions please call us instead (727) 442-8908. 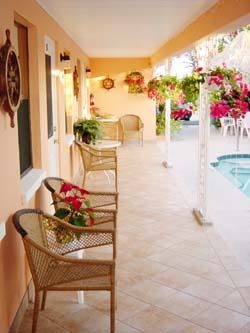 Feb. Special - Save $10 per night, click here for more info. All rooms and apartments renovated. 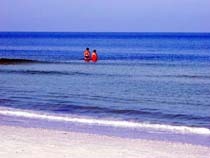 Low rates, weekly / monthly discounts, Excellent rooms. Come and make your vacation a memorable one. 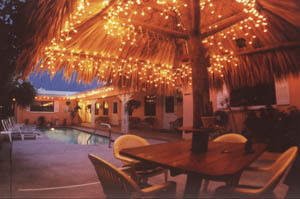 The Castaway motel is family owned and operated. Our apartments are meticulously clean and fully equipped. The Castaways Apt. 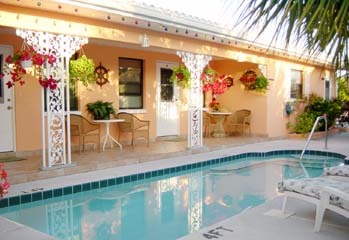 Motel located directly on beautiful Clearwater Beach Bay, and just 2 blocks to the beautiful Clearwater Beach and many local attractions. 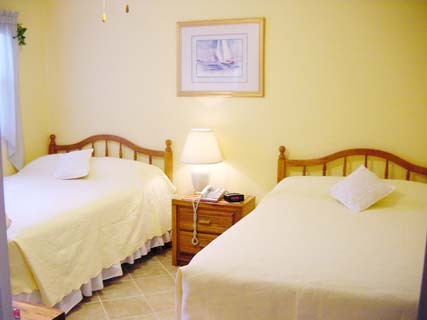 We offer newly remodeled and lovely decorated large rooms with central air-conditioning, throughout ceramic-tile floors, comfortably furnished, immaculately clean, quiet, fully equipped kitchens, private Fishing Dock, *Heated Pool and SPA, Bayside Patio, and BBQ grill. 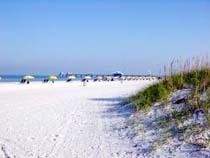 Also within driving distance to Busch Gardens, Sea world, Disney World and many other attractions. Large Deluxe Suite with a Bayside View / (waterfront) apartment. Open Style Suite, King size bed and a Full size bed, Sleeper Sofa, Ceramic-Tile Floors, Eat-In Kitchen, Refrigerator, Range / Oven, Cable TV, Coffee Maker, Cooking utensils, dishwasher and Linens. All Apartments are fully equipped and renovated. Ceramic-Tile Floors, Eat-In Kitchen, Refrigerator, Range/Oven, In-room Phone, Cable TV, Sleeper Sofa, Cooking utensils and Linens. One-Bedroom units feature a separate bedroom. Unwind and relax in our swimming pool with whirlpool. It's a great way to cool off after a day of sight-seeing. 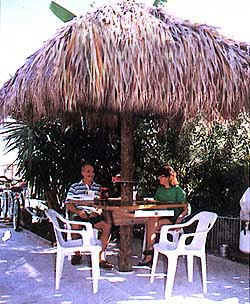 Our guests thoroughly enjoy themselves when they stay at Castaways. For your relaxing pleasure enjoy fishing on our private dock or just soak-up the sun. vehicle per apt. for registered quests only. Note1: In One-Bedroom Apartments only. Note2: In Studio/Efficiency Apartments only. Note4: Not all rooms are equipped with this feature.